Hello pumpkins! Soon I will post more photos and update about my week in Hawaii, where I visited my long time friend Elissa (who is a pilot for Mokulele airlines!) and traveled around Oahu and the Big Island (loved Volcanoes National Park!). The house I've lived in for the past decade, where I've raised my sweet children, goes on the market in a couple of days, and when my son goes off to University of Texas this fall, I am moving also, to .... AFRICA!! I am excited and nervous and melancholic all swirled into a bundle. But for the past several weeks, I have been prepping my house, landscaping, painting, fixing stuff (with the help of a dear guy friend - thank God for him!) and now the time has come. Houses are selling like hotcakes here, and I hope and pray it sells quickly and for what I am asking, as some of that money will be used to fund the nonprofit I've founded with a friend from Africa! Check out our new website, which I designed, for the Redemption Song Foundation, and please "like" us on Facebook too! Our vision is "empowering youth through education, poverty alleviation, spiritual development and song" and we are accepting donations via the link on our website (or by check, but you have to send to me for now... I'm in the process of registering the "dba" and the other info for us before I move). We are providing school fees and basic necessities like food, clothing and hygiene /medical care information. We have plans for other exciting projects, like income-generating activities for older youth. One of the problems in the area is that the most impoverished girls and women can't afford menstrual pads, and they use leaves, dirty rags, etc, and we want to provide pads to these to girls, and create an income stream to those working on the pad project, making them using a cool machine made by an Indian entrepreneur (profiled on the BBC and in the new documentary, Menstrual Man). They often drop out of school when they start their periods. Some organizations provide hygiene packs to girls, but not everywhere - there is a big need. We will be starting an Indiegogo campaign to raise money for this soon. Callenbach's 1975 utopian novel Ecotopia became wildly popular among environmental-leaning folks, hippies, and progressive thinkers of the day. The rebels who founded Ecotopia believed human health and livelihoods can coexist with nature, and built their nation For a book that has fallen mostly off the radar, outside of a smattering of college classes and small-scale environmental movements, certain aspects of Ecotopian society fall remarkably in line with research by Economics Nobel Laureate Elinor Ostrom, and more recently the work of Arun Agrawal, a scholar who studied under Ostrom. Research - described in this piece - discusses how decentralization of conservation policies and intrinsic motivations to preserve the environment are found in time-tested research, as well as the almost prophetic writings of Callenbach some 40 years before. 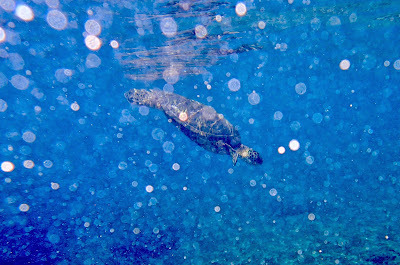 A green sea turtle we saw while snorkeling in Paradise Cove on Oahu. Copyright (c) 2014 Elissa Zavora. Love this image!! So cool! 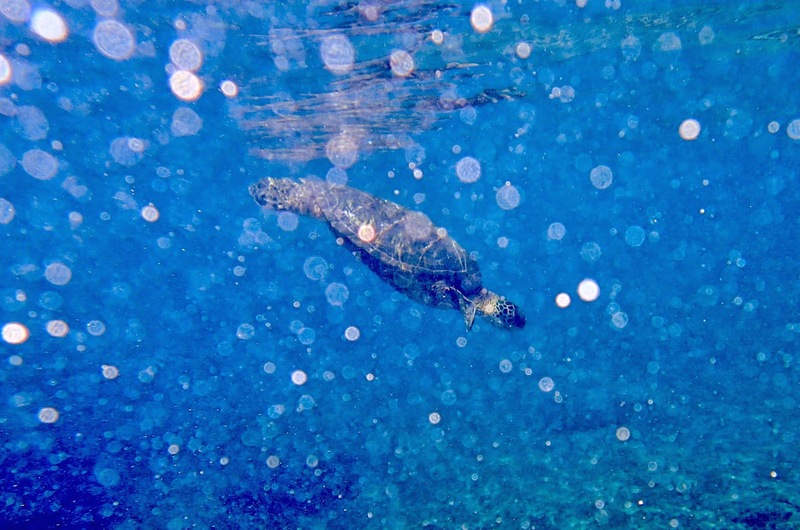 It was an amazing experience to swim next to the turtle, and another one showed up too! More to come. Love to you all!